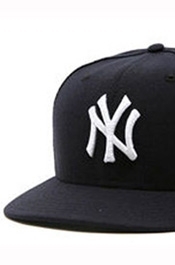 SEPTEMBER 9--A New York Yankees cap left behind at a New York City crime scene may hold the key to solving the murder five years ago of a Brooklyn man, according to FBI agents probing the role Bloods street gang members played in the slaying. Investigators examining the February 2005 murder of Steven Negron, 28, are seeking to link hair specimens recovered from the hat to a member of a “violent drug organization known as “G’z Up,” according to a U.S. District Court application filed last week. That document, a copy of which you’ll find here, seeks judicial permission to take hair samples from Sharif “Buddha” Lowman, whom the FBI has described as the chief suspect in Negron’s murder. Lowman, 24, allegedly sought to kill a rival heroin dealer at Brooklyn’s Marcy Houses project, but when he fired shots at his intended target, “he instead hit Steven Negron, who died as a result of the injuries,” according to FBI Agent Anthony Grubisic. “At the time of the Negron homicide, law enforcement officers recovered a baseball cap from the scene of the murder,” added Grubisic. Lowman, pictured in the above mug shot, was charged in April on federal narcotics distribution charges for allegedly dealing crack cocaine, marijuana, and other drugs at the Marcy Houses and in Pennsylvania. As part of its probe of the “G’z Up Organization,” which agents describe as a “set of the Bloods gang,” the FBI has interviewed several confidential sources who have implicated Lowman in the Negron killing, a second homicide, and narcotics distribution. But the most damaging evidence against Lowman may have come from the suspect himself, records show. During interviews with Grubisic and New York Police Department detectives--all of which apparently occurred after his arrest for drug distribution--Lowman admitted mistakenly shooting Negron and that he “dropped his Yankees cap at the scene of the murder.” He also reportedly copped to involvement in another drug-related shooting that resulted in the death of a man who was not the intended target of the “G’z Up” gang. Lowman is being held without bail on the narcotics charge. Submitted by jesusjack on Thu, 2010-09-09 14:04. "There, you see? That's the concept. Take some shooting lessons, a$$hole." Submitted by mookie on Thu, 2010-09-09 13:44. This guy is Bloods. Mets are Crips. Big feud. Submitted by jesusjack on Thu, 2010-09-09 13:55. Submitted by jaybelaw on Thu, 2010-09-09 13:03.
damn, why couldn't it be a mets hat.